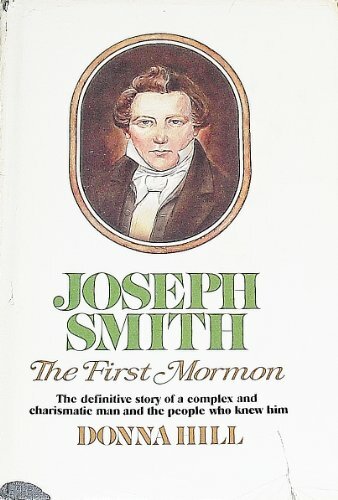 One of four major biographies of Joseph Smith, Donna HillÂ’s award-winning book is the most comprehensive. Hill cautiously rejects the simplistic reductionism of either/or characterizations in favor of a broader, more humanistic view that takes Smith on his own terms as both prophet and as man. Foremost among HillÂ’s concerns is the spiritual drama that defined SmithÂ’s controversial life, as well as his theologically motivated sexuality and the apocalyptic assumptions that fueled his political and military activism. Her intent is not to validate SmithÂ’s actions, only to understand them. Equal attention is given to the environmental influences that shaped SmithÂ’s 1830's New York upbringing. Add th these HillÂ’s impeccable scholarship, the result of nine years of research, and her talents as a novelist, and the significance of her achievement is apparent. Her quest for authenticity provides a vivid portrait of an extraordinary life. Donna Hill, author of Joseph Smith: The First Mormon, was born in Salt Lake City, earned a master's degree in Library Science at Columbia University, worked at the New York Public Library, and became an assistant professor and head of the Teachers' Central Laboratory at Hunter College Library, New York. She died in 2007.